If you’re looking for a web design and digital marketing company to help solve your online challenges, complete our contact form and we’ll get back to you quickly to provide you with more details and to see if you think we’re a good fit for your project. We’ll do everything within our power to ensure you’re completely 100% happy with the service we provide. If not, we’ll go above and beyond to solve the problem. Monday – Friday, 9am – 5pm (well 4pm on Friday) you’ll always be able to reach us.We’re super responsive on email too. No frustrating unreturned calls. We’re always at the end of the phone. Our prices are fixed so you won’t experience any surprise fees. Also, if you need us to crop an image for you, or make a small adjustment to your site, we won’t charge you for it. We’ll treat your business as if it were our business, and we strongly believe that working together should be a win-win for everyone involved. Will and Authentic Style were featured in issue 220 of Web Designer Magazine with a piece showcasing recent work and a brief history of how the company got started. The whole feature focused on the portfolios of upcoming talented freelancers and independent small web design studios. 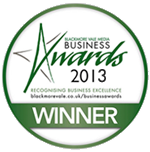 Back in 2013, Will our Founder, was lucky enough to win the Blackmore Vale Business Awards "Young Entrepreneur of the Year" award. The awards evening was a great experience and the win was followed up with a few nice editorials in the Blackmore Vale Magazine over the subsequent months. In 2017, Will was selected to feature in a "Dorset Men in Business" piece in the glossy Dorset Magazine, alongside other successful local businessmen. The feature asked some interesting questions, ranging from "What do you believe to be your key to success?" to "What is your dream car? ".